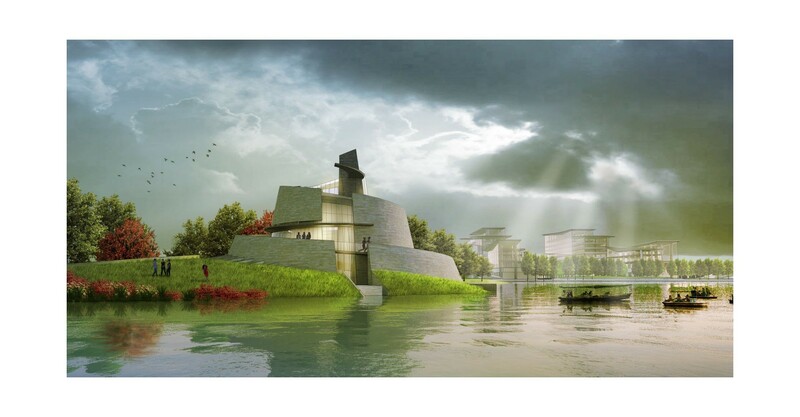 CRJA-IBI Group collaborated with the project architects on the design of a new community centered around two lake districts in Shaoxing, China. 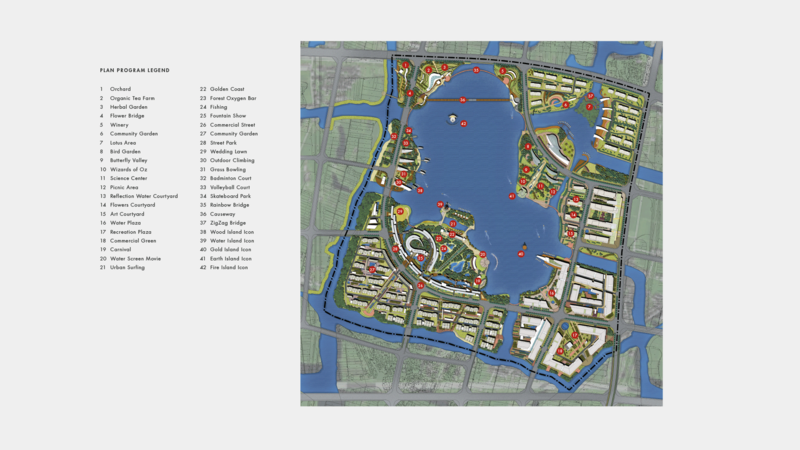 The overall design objective of this project was to create meaningful and memorable environments that engage the human senses while fulfilling the diverse needs of the people who live, work and visit this area. 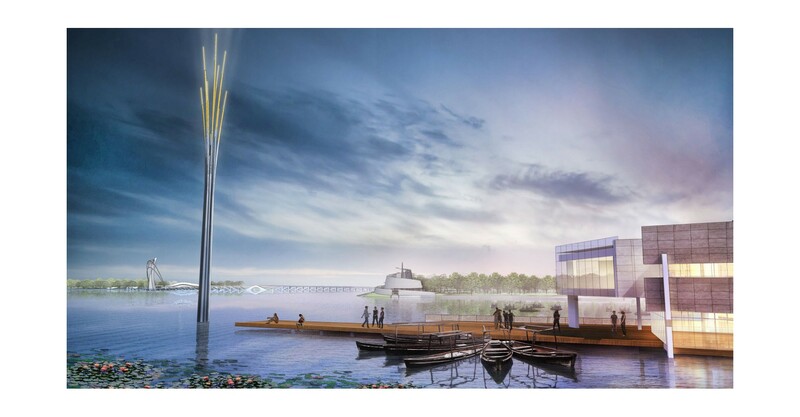 With water establishing the primary identity and as the principle organizing element, the energy of this project begins at the center of the lake and emanates outward toward five islands, each established to fulfill the programmatic needs of this community. 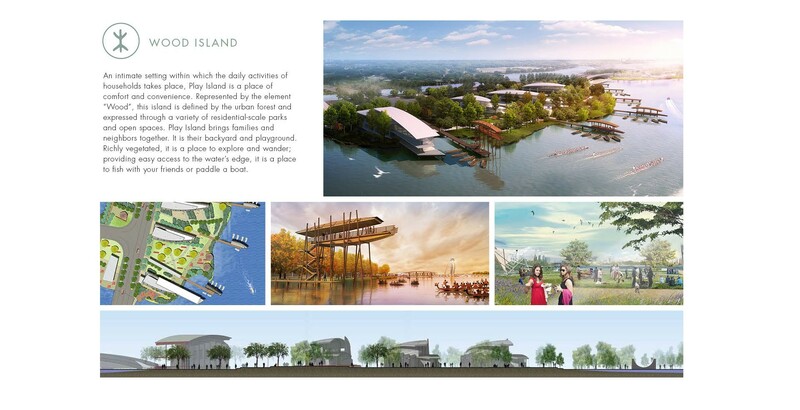 The islands are laced together by a continuous “living” necklace of water and greenery. 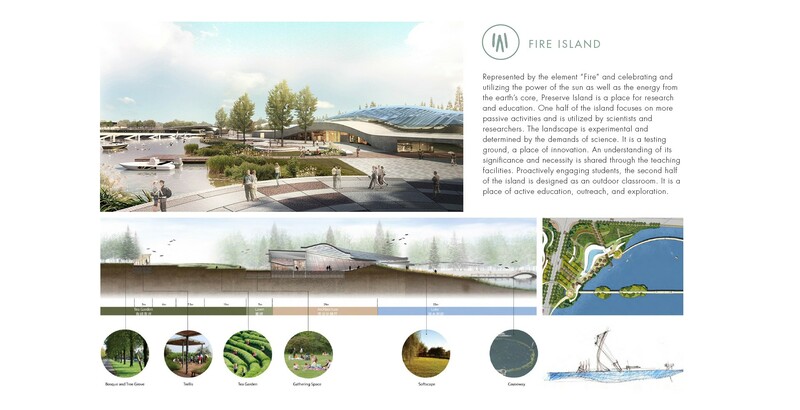 The islands’ primary land use and corresponding elements are: Commercial/Gold; Civic/Water; Residential/Wood; Agriculture/Earth; and Preserve/Fire. 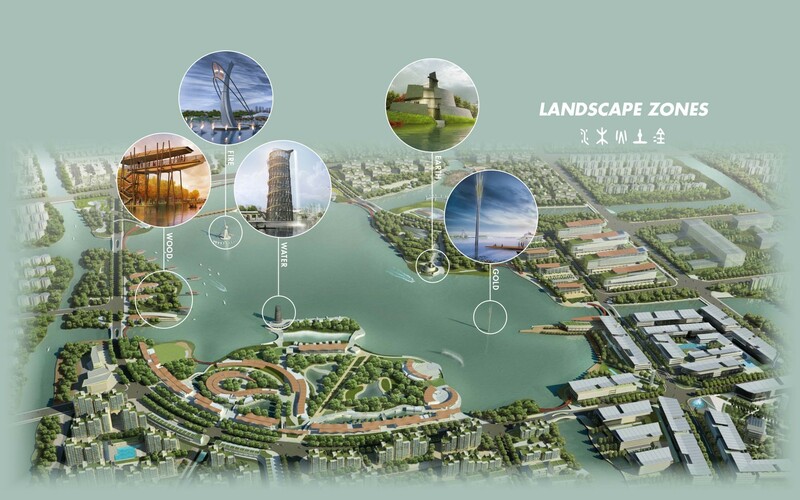 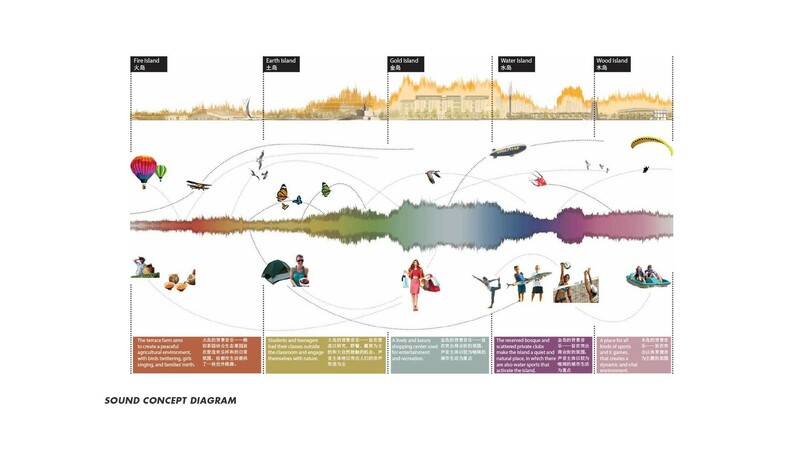 A wide variety of landscape expression and experience are being designed to enhance theme and designated uses.